The are many ways to market your business online: social media, PPC, email, content, SEO… the list goes on. Digital marketing agencies can solve that challenge for you, leaving you to focus on the work you do best. However, choosing the best digital marketing agency is no small task. There are literally tens of thousands of digital agencies you could work with. So how’s a business owner to decide? Don’t worry – we’ll answer that question in this guide. Let’s dive in! Marketing depends on your audience. For example, if you’re targeting business executives, then you might want to get seen on LinkedIn. If you’re targeting younger people, then Snapchat and Instagram are the places to be. And with Facebook’s 2.27 billion monthly active users who are spending an average of 41 minutes each day on the site, virtually every business can see ROI through Facebook ads. 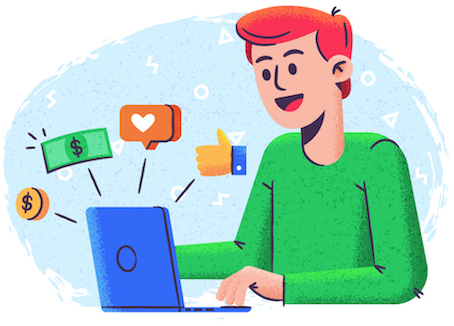 Because there are new marketing tactics popping up every day, it can be tough for busy entrepreneurs to stay on top of the latest trends, figure out the best ways to use different platforms, and become a master in every area of digital marketing. Hiring a team of experts to manage the more technical aspects of your marketing strategy allows you to focus on other areas of your business that you enjoy and do best, rather than spend weeks or months trying to find the right person to hire and train. Internet marketing agencies help you get more sales by leveraging different marketing tactics to attract your ideal customer and improve your online presence. Before you even think about which marketing channels to tackle, you need to understand your target market inside out. If you don’t, any great marketing firm should be able to perform market research for you to figure out how to best serve you. If anyone tries to sell you a one-size-fits-all approach, run the other way. Google Ads is a great way to capture the attention of potential customers right at the moment when they’re aware that they have a problem. Unlike normal disruptive advertising, search marketing is shown to people who are actually looking for a solution to their problem. Most people turn to Google to find an answer to their pain points, so running an Google Ads campaign that targets those prospects can be highly profitable. Getting your articles to rank high in search isn’t just about building “brand awareness” or getting more page views. There’s more to it than that. By getting your content to rank high in search, you’ll be able to capture potential customers at the perfect stage in the buyer’s journey — right when they realize they have a problem and need your solution! While there are specific SEO agencies, most digital marketing firms offer this service. About 90% of mobile searches lead to action, and over 50% of mobile searches lead to purchase. 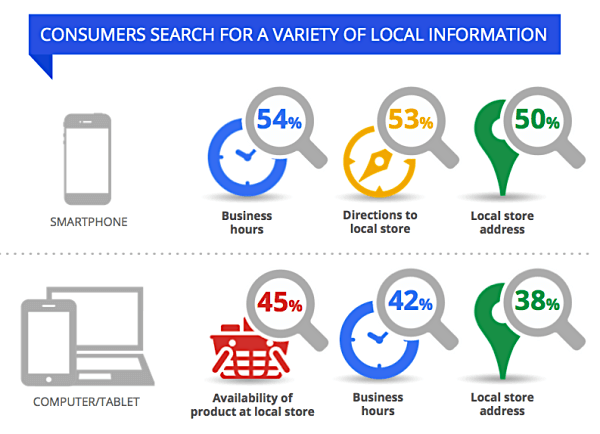 When that search is related to a local business, that number is even higher: 75% of local mobile searches result in offline purchases, and search terms indicate high intent to purchase as well. There are a variety of options that an advertising agency has when it comes to mobile advertising, such as mobile YouTube ads, in-app advertising, and campaigns to boost mobile app installs. Content marketing is the fuel that built many multi-million dollar businesses. Most companies think that creating marketing content is just about writing a few blog posts every week and slapping them up on a website. But those who care about sales over vanity metrics realize that it’s more complicated than that. Services that agencies might offer within content marketing include blog post generation, infographic creation, SEO writing, content analysis, and social media promotion. 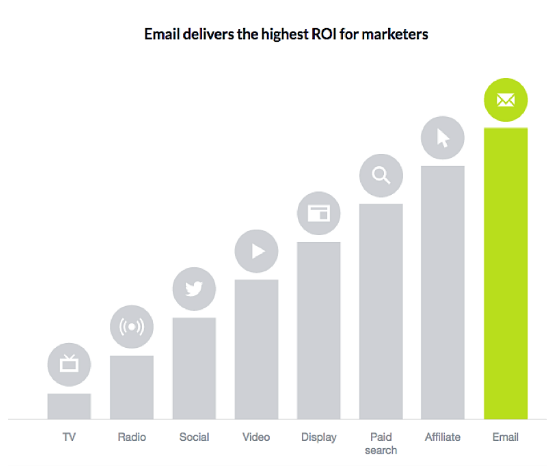 Email still generates the most ROI for marketers, even with all the new social networks popping up. 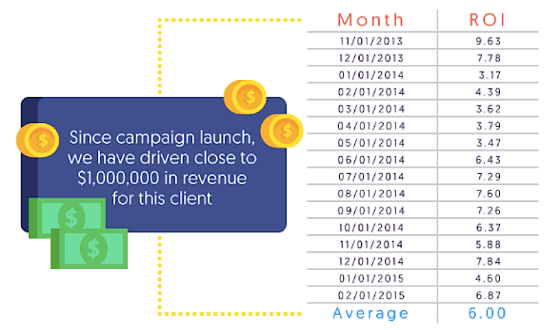 In fact, for every $1 spent, email marketing generates $38 in return. Agencies might offer services like list building, engaging with your list so that it doesn’t go cold, segmentation or autoresponder sequence optimization. In addition to helping you solidify your digital strategies, some agencies also offer web designing services. While not normally thought of as marketing, design and development can set you apart from your competition, improve trust with your customers, and help you get more exposure. At the end of the day, there’s one main factor that determines whether your site gets sales or not: are your visitors taking the action that you want them to take? That means having the right website user experience (UX), form design, and other elements to boost your lead generation and conversions. Agency services in this area could include conversion path analysis, CRO goal setting, identification of conversion metrics, collecting data from website visitors, and conversion optimization itself. Some agencies are more specialized than others, but in general, they offer some variation of these services. But before you can pick the right digital marketing agency with the right services for your particular business, you have to ask yourself and your potential agencies a few questions. What are your company’s marketing requirements? The first step in choosing a top digital agency is to figure out your own company’s marketing requirements. Do you need website design? PPC? SEO? Analytics? And take a hard look at your team — can you/they really strategize, implement and optimize the most effective marketing strategy? If you already have an in-house marketing team, what does your team have the skills (and time) for? What are the marketing tactics that you know you “should” do but haven’t gotten around to yet? These kinds of questions will shed some light on what you can outsource to an agency to get more efficient results. How does the agency run their own business? If an agency can generate marketing results for themselves, that’s a good sign they’ll be able to help you do the same. So if you’re thinking about hiring an agency for blog management, how do they run their own blog? If you’re thinking about hiring them for social media promotion, how do they handle their own social media accounts? 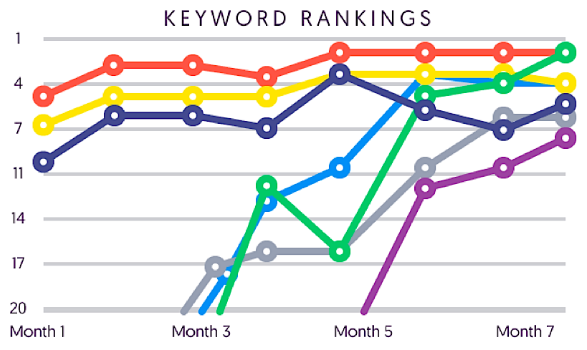 If you want to hire them for SEO, how do they rank in search for terms in their industry? You can verify these details on your own, and also ask the agency. Case studies and customer testimonials are also a good sign, but you should always double check on your own rather than trusting them at face value. If the marketing company doesn’t “practice what they preach” for their own business, then it could be a red flag that they don’t really believe in or aren’t really capable of the services that they offer. Most businesses track vanity metric – numbers that might seem like they matter but have no real correlation to generating revenue for the business. For example, the number of “likes” you get on a post can be considered a vanity metric because it doesn’t always translate directly to sales. The last thing you want is for an agency to charge you premium rates every month and only deliver more likes on your posts, but no boost in sales. How will they measure your success? 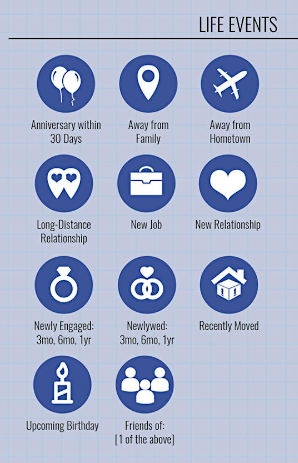 Are they picking the metrics that actually show ROI? Depending on how solid the rest of your marketing funnel is, a boost in traffic could be directly correlated to a boost in conversions. But if you’re not sure exactly who your target market is, generating massive traffic to your site and measuring their interaction with your site can be a quick way of figuring that out. The number of minutes users spend on your site is data that shows how interesting and pertinent your content is. If your content is highly relevant to a visitor’s specific situation, then they will spend a relatively long time on your site. If not, then your content could probably be more targeted. 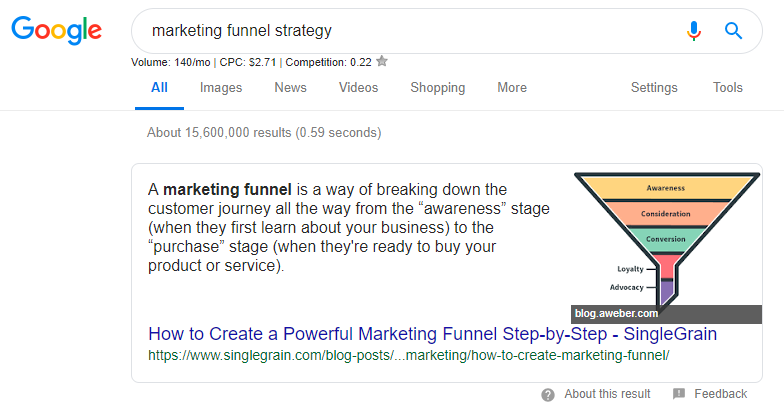 Google loves using this metric when ranking content in search because it shows how valuable your website or blog is to a reader who searched for your keywords. Other factors could influence time on your website as well, such as page speed. You can track your average time on site through the average visit duration statistic in Google Analytics. It’s important to find out which channels are driving users to your site. For example, if you find that most of your traffic is coming through a particular article that ranks high in search, then you’ll want to produce more content similar to that one. In addition to that, it’s important to measure what what type of traffic you’re getting. Are most of your visitors referral traffic from other websites? Are you getting most of your traffic from specific marketing campaigns? Are you getting organic traffic from search? 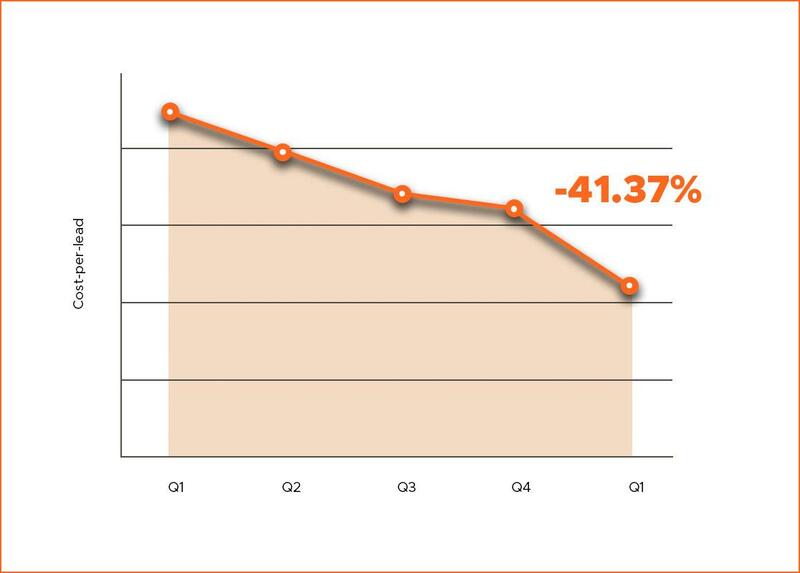 Bounce rate shows the percentage of visitors that leave your site after they land on it. High bounce rate could indicate that the content on your site is not relevant or valuable. To improve it, you need to understand the intent behind why someone landed on your page, as well as the match between your ad copy and the landing page. Cost per click (CPC) is a purchasing model for paid ads where you pay each time your ad is clicked. A high CPC could indicate that your ad isn’t well-optimized for your target audience, depending on the ad platform you’re using. Click-through rate (CTR) measures the number of times your ad has been clicked versus the number of impressions it received. 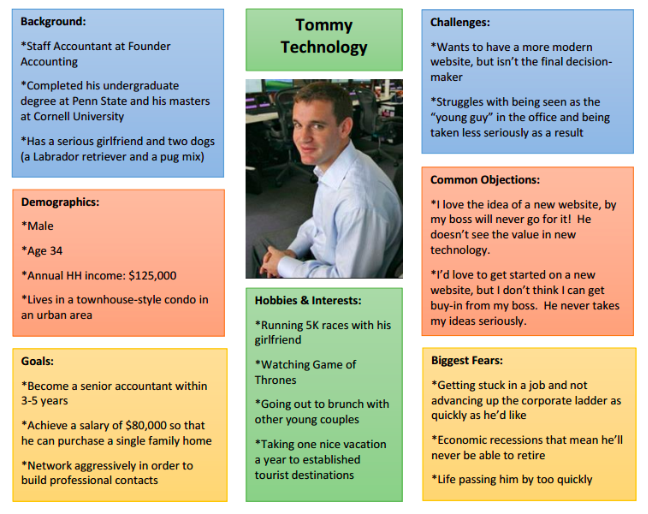 This helps analyze how targeted your ad copy is. A low CTR could mean you need to understand your target audience better and test different headlines, copy, images, or even a different offer entirely. When you’re in an industry that has a low barrier to entry, you’ll inevitably have to deal with people who claim to know what they’re doing, but actually have no idea. Marketing is one of those industries. There are plenty of marketing agencies and freelance Internet marketers that promise the world to customers just to close the deal, but lack the staff and the skills to deliver. In the worst cases, they keep charging you money every month and say that it will take a long time to see organic traffic results, even though they know that their actions will never deliver results. Agencies should also not guarantee bottom-of-the-funnel results because there are just too many factors involved, which are specific to each company, that might result in differing ROI. For example, you could make all the right moves when it comes to your marketing, but results will take longer if you’re in a more competitive market. You can filter out scammy or low-quality agencies by asking them for their “secret sauce.” What makes them different? What are their digital strategies for getting you results? “First we’ll start by creating a publishing schedule. This is a list of keyword-rich headlines which gives us a framework for the types of content we want to produce. Ideally, the content comes from within your organization, but if you don’t have the resources, we can help procure a professional writer who has experience with your industry. Look up agencies on the Better Business Bureau website to see their ratings and if they have any complaints against them. You can easily filter out low-quality agencies through price. Many businesses want to save money, so price is usually the first thing they ask about. However, if you find an agency that charges low prices, then chances are they deliver low-quality results, too. Think about it from their perspective: if an agency prices itself too low, then they make lower margins on their services. Because of that, they’re less likely to go the extra mile for your business because there’s not much incentive. Agencies that charge higher prices tend to treat their clients with more generosity because they can afford to do so. Don’t cut corners when finding the right agency for the job. If you run a small- or medium-sized business (SMB), chances are you’re asking yourself this question. Should you hire a marketing agency or go in-house? Scaling anything requires proper documentation of systems, processes and workflows that go into completing a specific task. That means having a structured system to follow when you create a blog post, run a PR campaign, run social media promotions or paid ads, etc. Inbound marketing campaigns require a variety of tools from start to finish. For example, you might need email marketing tools (like MailChimp or Drip), analytics tools (like Google Analytics), communication tools like Slack, and more. These tools help you accomplish your key tasks and hit your goals more efficiently. It’s easy to write random blog posts, but can you write quality content that your specific target audience would love to read? Do you actually provide something of value for your readers? Are your articles bookmark-worthy? Are your videos professionally shot and provide links to everything you talk about? That’s what separates decent blogs from truly great ones. Finally, you should make sure that you have experience designing and running some portion of inbound marketing campaigns. Hitting these different criteria takes time. It’s not easy to publish high-quality content consistently or document rock-solid processes that keep your systems on track. Hiring an agency can help you avoid the cost of getting yourself and your team up to speed on all the digital strategies as well as avoid getting sidetracked from other important things you have to do in business (like closing deals or getting investors). If you hire a full-service digital agency, you’ll get a team of deep specialists who work on the campaigns and channels which are most effective for your business. They’ll do everything from strategy to implementation to optimization. Some agencies also provide consulting services where you get a ‘marketing roadmap’ which you then implement yourself. You won’t have to worry about assembling your own content and marketing team. In fact, you’ll have more people working for you to get results, which can help accelerate your growth. Also, although you may think that the expense of hiring an agency is a downside, it can often be more expensive to hire and train a team in-house to fill necessary roles, especially if you need an expert for paid social, one for paid search, etc. Hiring new employees means more salaries, benefits, and the time it takes to train them on marketing channels and your own processes. Let’s look at the results that top digital marketing agencies can drive for businesses like yours. From these case studies, you’ll also get a sense of the tangible things that marketing agencies do. 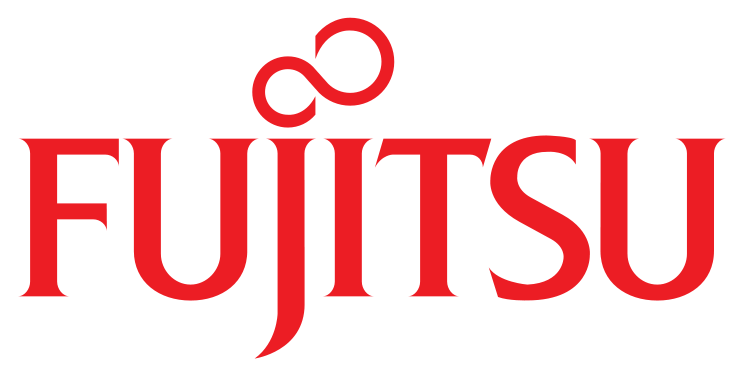 The challenge for us was helping Intuit build visibility and become known for services outside of the main ones for which they are already known. Plus there was some concern around their highly specialized competitors like GoDaddy. At Single Grain, we worked with a client who sells scooters online (they wish to remain anonymous). Scooters started off as a simple skateboard with handlebars, but over time they have become small, two-wheeled vehicles made for people to commute longer distances. It’s now a common method of commuting for both high school and college students. For the scooter e-commerce store, we launched campaigns on Google AdWords, Bing, Yahoo! Stream Ads, and Amazon Product Ads across all major devices. That way, we could be sure that the client had visibility on different devices and on different ad platforms. The campaign consisted of display ads to drive brand awareness and product-listing ads that users would see when they searched for a competitor. 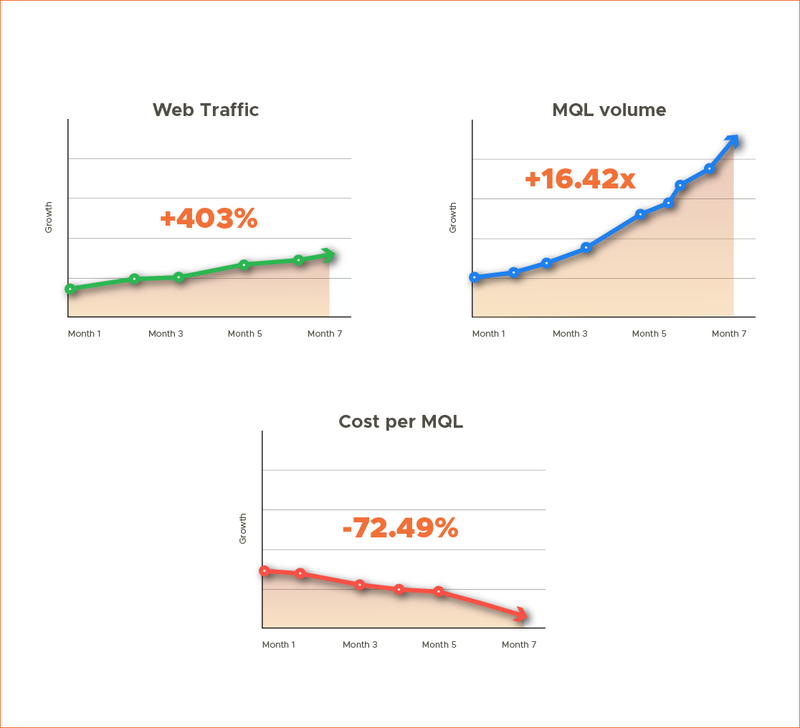 From there, we monitored the ROI of each channel and consistently optimized performance. We did this by designing a customized all-digital solution to marketing that united the brand recognition boosting powers of social media advertising with the compelling “value right now” urgency of search engine marketing. We worked with Nextiva, a unified business communication SaaS suite that integrates phones with interactive voice response, call analytics, a multi-channel and sales CRM platform, live chat software, online survey software, and more. Single Grain worked with Nextiva to determine what lead would provide optimal down-funnel performance. We then identified the most cost-efficient audience segments and created messaging and design specifically to appeal to them. Using our ‘best of test’ methodology, we continued to optimize the ads and targeting. We also worked with Uber, Airbnb, Amazon and Salesforce. Before deciding whether you should hire a marketing agency or do your marketing in-house, make sure that you understand what goes into launching successful inbound marketing campaigns. 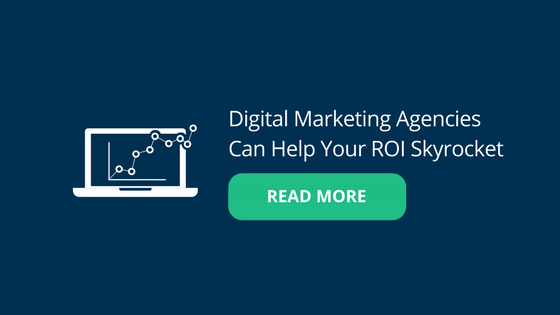 If you have doubts about your ability to generate ROI through a marketing campaign, then you may find it easier to hire an agency to take care of everything for you. Digital marketing agencies can handle the systems, processes and workflows that go into running campaigns from beginning to end. They have a structured process to follow when they create blog posts, run social promotions, etc. The right agency could generate millions of dollars in revenue for your business, give you peace of mind by handling everything for you, and allow you to avoid the cost of setting up a team in-house. That way, you can focus your time on your strengths, and perfect what you’re already good at instead of worrying about your online presence. Should You Hire a Contractor, Marketing Agency, or Go In-House?